Using quality lubricants and greases can offer businesses huge savings on Total Cost of Ownership (TCO) spending. Historically, machinery offered restricted applications but as we are now using more sophisticated equipment, there’s a requirement for high power at low speeds and better compliance to adhere to the most up-to-date emission standards. There is vast potential for high quality lubricants to contribute substantial business value by improving productivity and reducing costs. So long as they are meticulously made to the most recent specifications and demands of machinery and vehicle manufacturers. But unfortunately, the importance of lubricants is generally undervalued. Businesses are under increasing pressure to reduce operating costs but to also increase efficiency, which can involve employing fewer people and using older equipment. Operations teams must find new ways and innovations to safeguard the bottom line, so focus is often around the oils and greases used. Most businesses think that the cheaper the lubricants, the less money spent. But unfortunately, this is not the case. Do you have the right quality and type lubricant for the right application? 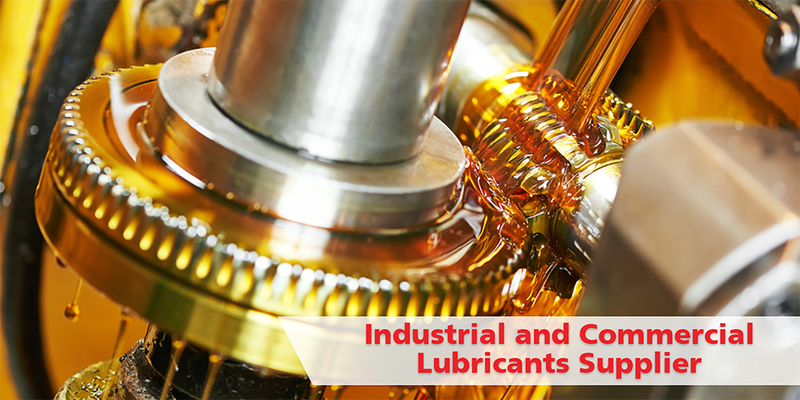 Does your lubricant manufacturer comply with the European & UK Lubricant Industry standards? Does your lubricant manufacturer have OEM approvals? You invest a lot of money in your machinery as it’s what keeps your business running. Its lifespan depends entirely on the quality of lubricants you use. Every pound you save on buying low quality, low-cost oil means the regular and reactive maintenance costs will almost outdo your initial savings every time. Repairs and unplanned downtime can increase costs considerably. The reliable performance will only benefit your business and repay you with loyalty, hard work and 100% uptime. Implementing safe storage and handling practices is paramount in getting the most out of your lubricants and ensuring the integrity of your products. Your lubricants should be stored in dry, sheltered areas to prevent them from damage, impact and bad weather. Contaminated lubricants are one of the main reasons for machinery failure. As well as ensuring your lubricants are safely stored, you should also use adequate equipment to handle and apply your lubricants. We have a wide range of ancillary products on offer and can provide expert advice on what products best suit your personal requirements. Grease is designed to ensure an exceptionally balanced performance even in the most challenging environments. It doesn’t evaporate in friction as it’s independent of temperature. Applying the correct grease to your machinery will prevent unexpected downtime, loss of money and of course, productivity. But remember, applying the right amount is also vital! We offer a varied product range to meet our customers’ unique needs. A modern multi-purpose grease can meet the needs of almost 75% of applications requiring grease lubrication; the remaining 25% demand a large number of specialist greases. Fortunately, our range is wide and diverse enough to take care of any industrial demand. To find out more, give us a call on 0845 313 0845. What are the types of lubrication? As a business you can make huge improvements to your bottom line by merely upgrading the quality of lubricants you select and use. To remain competitive, you must adjust your mindset from using the lowest cost product to one that is most likely to help you improve plant reliability and reduce maintenance costs. Selecting the best performing lubricants will require research, but the return on investment is well worth the minimal time and effort involved. Firstly, contact a reputable lubricant supplier and seek advice on which lubricant is best suited for your operations. Here at Crown Oil, we’ve been supplying a wide range of lubricants to an array of industries for over 70 years. We can specifically blend your very own oil to suit your exact requirements. Our technicians are leaders in their field, with decades of experience formulating highly specialised lubricants to suit every industry need. We are also in partnership with Total Lubricants, where we stock a huge amount of their products too. Visit our dedicated page on lubricants to find out more information. Choose Crown Oil as your lubricants supplier and we guarantee to help keep your business running smoothly all year round. That way, costs will be kept to a minimum and your machinery will run to optimum performance. To find out more how our lubricants can help your business, give us a quick call on 0845 313 0845 and one of our friendly team will be happy to help.